John L. Aurelia, DDS, PLLC is built around restoring and maintaining your family’s oral health. 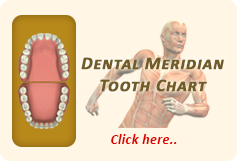 When the mouth and gums are healthy, the whole body is healthy. Consider the many links between gum inflammation and medical conditions such as cardiovascular disease and poorly controlled diabetes. Know that when you partner with Dr. Aurelia and his professional staff to preserve oral health through regular checkups and cleanings, you will be upholding not only the function of the teeth, but also the appearance of the teeth. Many diseases and conditions that affect how well you chew can also affect the look of your smile. Since a person’s smile is said to make a bigger impression than a fit body or beautiful hair, it’s a noticeable feature than can detract from your overall appearance if it is in poor condition. Similarly, when kept healthy or restored to its “former glory”by the John L. Aurelia, DDS, PLLC team, it can improve the way others see you and have a positive, lasting effect. Discoloration – From Zoom! in-office whitening to Ultradent take-home bleaching, you can regain or maintain a white smile. If stains are stubborn, veneers may be bonded to the front of the teeth to cover up these imperfections. Chips – Acidic or sugary drinks can erode the protective surface of the teeth. This damage can eventually wear through to the layer underneath the enamel. This dentin is yellow, so when teeth are discolored it can be the underlying layer of the tooth peeking through. Habits such as nighttime teeth grinding or bruxism can cause chipping, fractures, and wear due to the tremendous pressure placed on the teeth from the force of clenching or grinding. In addition to whitening, veneers can repair chips and reshape teeth that have become flattened or otherwise poorly formed. Crookedness – The same gum disease that causes portions of your tooth structure to decay can also cause your teeth to shift over time. Old fillings and other restorations may change how your upper and lower teeth come together. You may find teeth are now crowded or gapped. Habits such as thumb sucking as a young child can push teeth forward or otherwise out of alignment. Today you can effectively straighten your teeth with Invisalign. The aligners are clear so no one has to know you are straightening. They may be removed during cleaning and eating for comfort, as well as to maintain proper oral hygiene easily. Perhaps one of the most obvious manifestations of common dental conditions would be missing teeth. John L. Aurelia, DDS, PLLC offers porcelain fillings, dental crowns and bridges, and cosmetic dentures that look, feel, and function like natural teeth. 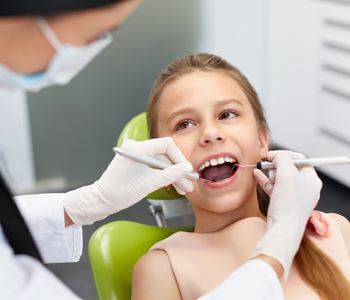 In addition to preventing and addressing problems, suggestions may be made to enhance your at-home dental care during visits to the Rochester Hills office. Call (248) 651-6810 to schedule an appointment.